Sorry. I lost focus easily. Yes, I should finish Allegro. Well if it is any conciliation to you I have the same problem. I myself also loose focus to easily. Everytime I see an update here, I wonder to reboot my old voxel engine. I'm sure Thyandyr's one is great, but I prefer a more classic approach. 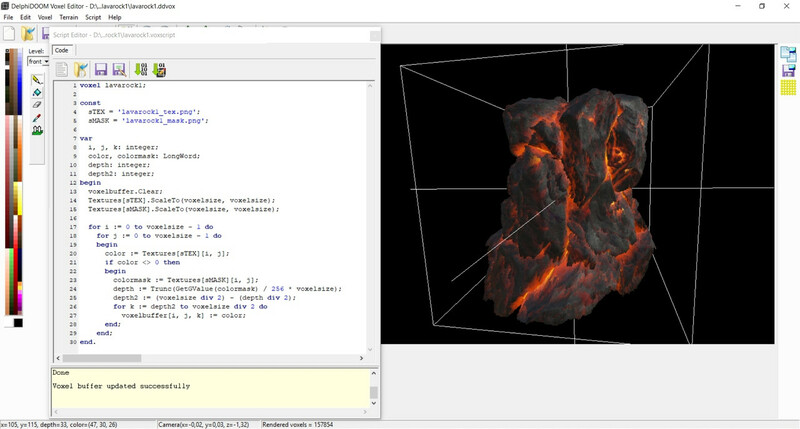 Create or modify voxels with advanced scripting (thanks to Remobject's PascalScript). Create auxiliary voxel buffers at start-up to avoid repetitive memory allocation and de-allocation. Paint-Editing preview changed to be more "eye-friendly". The borders of the rectangle that represents a voxel/pixel, are not black anymore. Instead we use a color similar to the color of the voxel itself. OpenGL rendering clean-up and fixes. 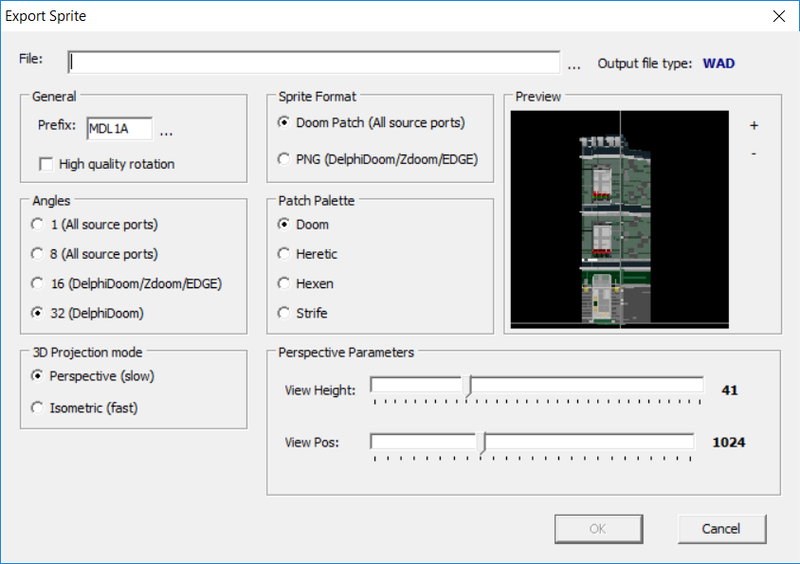 Sprite export in 32 angles, sprite export dialog with many options. If sprite exporting can be done in simple bitmaps (i.e. PNG, TGA or similar) then it is perfect. Also, allowing to save in VOX format would be great. When you select the PK3 output file and PNG as the sprite format, the sprites (in all angles) are exported in a PK3(actually zip) file as PNG Images. 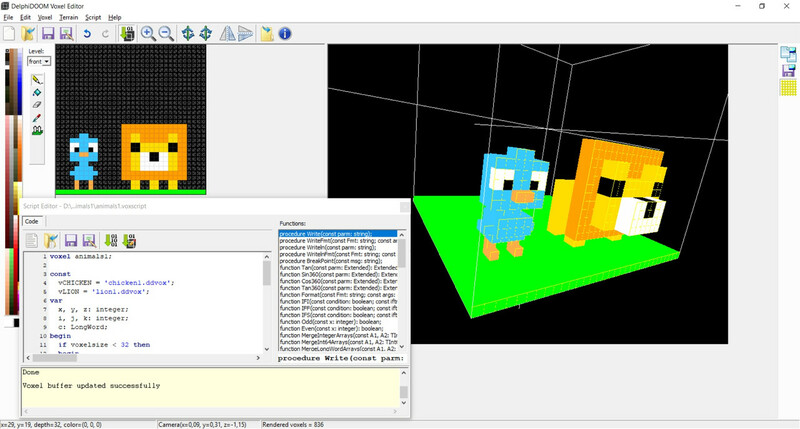 Also the left / right / front otc views are actually a sprite-like representation of the voxel (isometric projection). Other voxel formats are a little obscure to implement (tried to make a kvx export but it was much more tricky and difficult than reading them). Haven't tried vox format. After some google search, I found some documentation at https://github.com/ephtracy/voxel-model/tree/master/vox. Not sure that's the vox format I'm asking from. You can find a description with the Build Engine sources.